Where else in the world will you find such attention to detail with food under one roof? Temperature and humidity-controlled rooms for chocolates, sake, wine, charcuterie and fruit; marbled wagyu beef, seafood tanks for shellfish, kaiseki bento (traditional Japanese lunchbox) from 3-star Michelin chefs and pristine fruit in wooden boxes for over ¥10,000. Not to mention the small eat-in counters with a handful of seats serving fugu (pufferfish), sushi, sukiyaki, local confectionery and wine paired with charcuterie and cheese. Depachika (department store basements) are every epicurean’s dream. 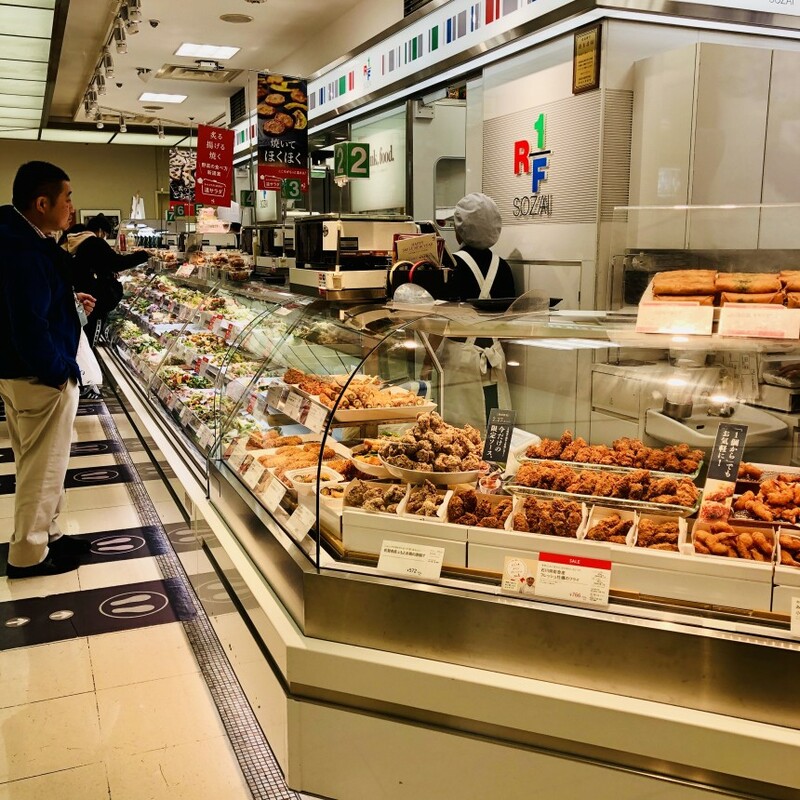 I worked for two years at Takashimaya’s flagship store and now do food tours to depachika. Depachika are constantly evolving as food trends drive the market. There is always something new to see and it is a constant education. Predictably, it’s very exciting for food lovers. Here are some tips to help you demystify the amazing depachika culture. 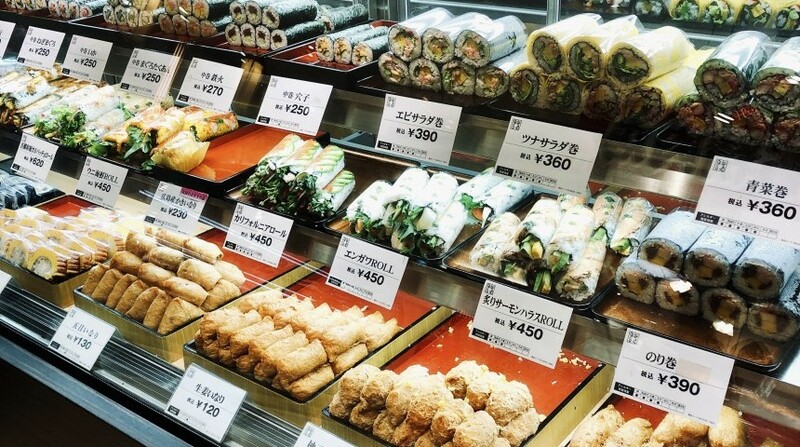 Each depachika has both Western and Japanese prepared foods, bakeries and confections; a supermarket section, produce, seafood, meat and a liquor shop. The prepared foods include options from Japanese, Korean and Western cuisines. Additionally, some shops now offer Indian, Spanish or Vietnamese cuisine. Confections range from traditional wagashi (Japanese confectionery) to French patisseries. Bakeries, both Japanese-style for curry pan and French boulangeries for baguettes and pastries are available in abundance. A nice break from shopping can be had at a tea cafe like Nihonbashi Mitsukoshi’s Wa no Cha (by Itoen) or Ginza Matsuya’s Cha no Ha. There are also confectionery cafes, like Toraya at Shinjuku Isetan or Kanou Shoujuan at Nihonbashi Takashimaya. For Western sweets, Shinjuku Takashimaya Patissiere is an eat-in counter with about 100 individual cakes and sweets from renowned Tokyo pastry chefs. Department stores are a great opportunity to meet food artisans and purveyors as they often come to promote their goods. In the sake section, some depachika will host jizake (regional or local sake) vendors for a week at a time. It’s a chance to sample before purchasing. Mitsukoshi and Takashimaya in particular are good destinations for the curious, as they regularly host jizake vendors. 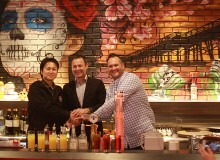 Ginza Six hosts Imadeya, a sake shop with a strong selection of nihonshu. Beyond the basement there are other food-centric spots to have on your radar. Often there are food events on an upper floor event space. 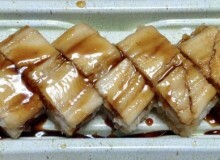 Themes can be regional, such as food from Hokkaido or Okinawa. Inquire at the information desks at the department store if there is a special food promotion in the event space. There are also eateries on some of the retail sales floors and restaurants on the top floors. These are well known restaurants that are great spots to meet friends. Almost always there are very realistic plastic food samples in front of the shops, so walk around and indulge in plastic food tourism while you decide which speaks to you. Home cooks will want to visit the kitchenware and tableware sections — you can be sure that there is an extensive selection of dishes, cookware, knives and other essential tools for the Japanese kitchen in these stores. A tip for the weary: while most depachika offer an endless variety of prepared foods, only Shibuya’s Tokyu Toyoko-ten (at the station) has space for tachigui (stand-up eating) inside the market. However some department stores have rooftop gardens, if you’d like to take a bento and a beer up on the roof. Do inquire at the reception about a picnic area on the rooftop (and if it’s open). For particularly nice rooftops for dining, check out Ginza Six, Ginza Mitsukoshi and Shinjuku Isetan. A standout is Ikebukuro Seibu, where the rooftop has abundant seating and even some restaurants on the rooftop. Karukaya Udon from Sanuki has a branch there. The 50-year-old institution serves handmade noodles with a rich texture. Most depachika open at 10am or 10:30am, but Nihonbashi Takashimaya has a new annex with about a dozen shops opening at 7:30am. Depachika may have the image of being high-end, but do note that it’s not all expensive. In the evening before closing, some shops will sell their products at a discount. Mitsukoshi:1-4-1 Nihonbashi Muromachi, Chuo-ku. Takashimaya: 2-4-1 Nihonbashi, Chuo-ku. Isetan: 3-14-1 Shinjuku, Shinjuku-ku. Takashimaya:5-24-2 Sendagaya, Shibuya-ku. Keio:1-1-4 Nishi-Shinjuku, Shinjuku-ku. Odakyu: 1-1-3 Nishi-Shinjuku, Shinjuku-ku.